Making the right decision doesn’t have to be a trial by fire. 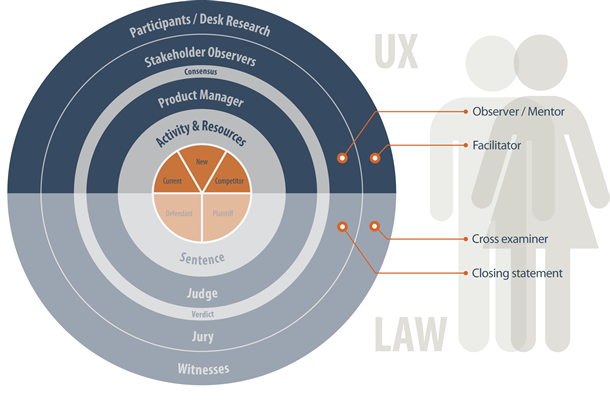 Let’s look outside of UX to a place where there is a long-established skill set and model for determining truth that supports decision making and sets precedents. Where else is the truth sought using subjective and well-informed reasoning, supported by facts, amongst strong opinions in complex social and business contexts? What about referencing English law for insight on how project teams can collaborate to overcome the challenges and biases associated with participation of multiple roles and perspectives. Read the full article on the UXPA website. We’ve funded and launched our RocketPulse platform! Tomorrow Studios is the trading name of Tomorrow Studios Limited registered in Ireland as company number 514055. Registered Office: Lower Ground Floor, 66 Lower Baggot Street, Dublin, D02 FK85, Ireland.